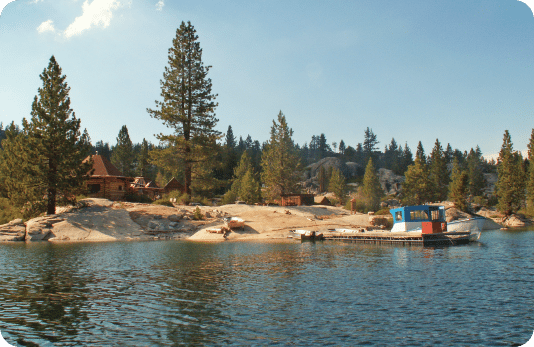 The Vermilion Valley Resort (VVR) Ferry Service shuttles people every morning and late afternoon seven miles across Edison Lake to the inlet of Mono Creek and within a mile of the famous John Muir/Pacific Crest Trails. Day hiking up beautiful Mono Creek, and then catching the Ferry back in the late afternoon is highly recommended. Also, VVR has Ferry guided tours of Edison Lake that’s a great way to learn more about the area. The Ferry operates approximately June 1 to October 1. The resort rents small fishing boats by the day or half day for going after Brown and Rainbow Trout. A California record German Brown Trout was caught in Edison Lake. 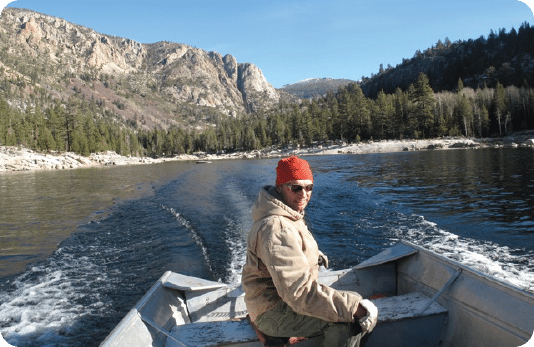 The Florence Lake Ferry Service will take you across the five mile lake where you can hike along the San Joaquin River to beautiful Blayney Meadows and beyond to the Muir Trail Ranch, hot springs, the John Muir Trail and the Pacific Crest Trail. Fishing boats and Kayaks are also available for rent at Florence Lake. Just three miles before Florence, Kayak Trout Fishing is a popular activity at Ward Lake. Anglers find it to be the perfect lake for catching Rainbows from a Kayak within a spectacular setting of steep walled granite cliffs. 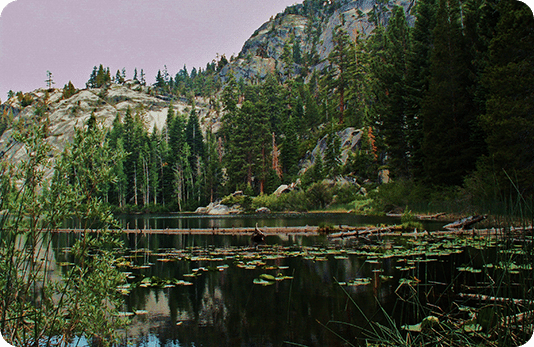 Several other small lakes in the Mono Hot Springs area offer great California kayaking opportunities.